Google this month spent a cool $500 million to purchase Skybox Imagine, which uses small satellites to beam down high resolution images from Earth orbit. That announcement is on the heels of Google buying Titan Aerospace, which transmits Internet signals from drones high in the atmposphere. Some think that Google is planning to provide the entire world with Internet access. Actually, Google intends to use the Skybox satellites to improve the quality of Google Maps. However, Google did note recently that the Skybox technology will hopefully be able to provide more Internet access to world users eventually. Skybox has online one satellite in orbit today, but it is going to eventually have a large fleet covering the entire globe. These satellites would provide users with images that are updated constantly. 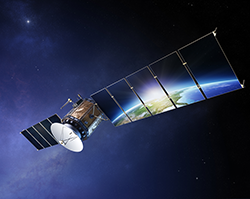 The satellites could be used eventually to monitor oil reserves from space. Right now, Google must buy these services from satellite companies. But the supply in the satellite imaging world is limited. The biggest companies in this space, such as DigitalGlobe and Airbus Defense and Space, only have a few satellites and they have most of their services used by governments. Google has been making up for the gaps by using planes to collect Google Map images, but this is only so useful. Fresh data is very important for global maps. If the satellite image is five years old, that limits the usefulness of the product. While Google does have plans to eventually use Skybox for Internet connectivity, that is probably a few years away. Skybox would probably need to almost start over and start to produce communications satellites. Their current satellite offerings do not provide that kind of service. As Google continues to evolve its Adwords features, there never seems to be any limit on what Google will do next. From Adwords, to Panda updates to satellite purchases, there is almost nothing they won’t do!